L’Hostellerie du Chapeau Rouge welcomes you to Burgundy, in the heart of the historic centre of Dijon, listed as a UNESCO world heritage site, only 15 minutes away from the famous Route des Grands Crus, with its outstanding vineyards known as "Climats de Bourgogne", also on the UNESCO World Heritage list. The William Frachot Restaurant welcomes you from Tuesday to Saturday, for lunch or dinner. Adjacent lounge available for private events. Booking advised. 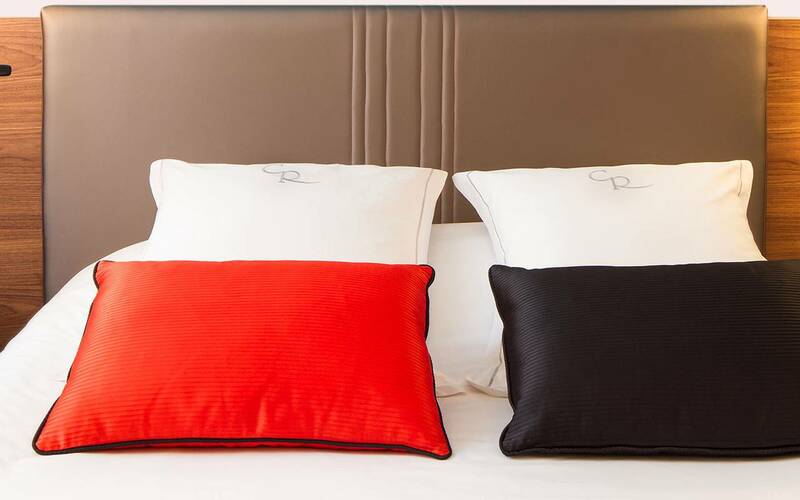 Located less than 5 minutes away on foot from the train station, tram, buses and Place Darcy, and 300 metres away from a secure car park, the hotel is only a 15-minute drive from the Dijon-Bourgogne airport. An ideal location for a sightseeing holiday or a business trip.